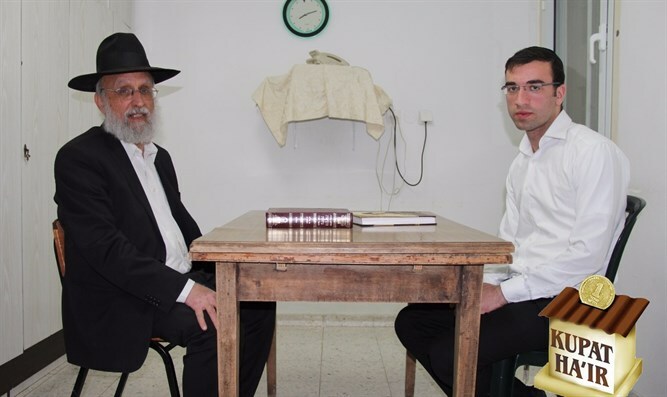 Impoverished widower makes desperate appeal on behalf of his son, Moshe. Rabbi Aharon Tufik lost his wife to cancer, making him a widower and leaving his children motherless. After the mother's passing, the family sank into a deep poverty from which they have yet to emerge. Rabbi Tufik's son Moshe is reportedly engaged to be married next month, and is still lacking the basics needed for a chassan and kallah. In order to provide for the new couple, Rabbi Tufik has been forced to release a personal video. The video [above] shows particularly emotional footage of a seemingly tired widower. At his side is the young chassan, clearly deeply embarrassed by the ordeal. "This is a very difficult time for us," the Rabbi says, his voice low and wraught with emotion. It is truly a humbling sight to see the faces of two individuals forced by desperation to publicly beg for help. Meanwhile, as the time remaining until Moshe's wedding dwindles, as the family watches on in desperate hope that the generosity of strangers will be enough to grant them the chance at a new life.